SEOUL, Mar. 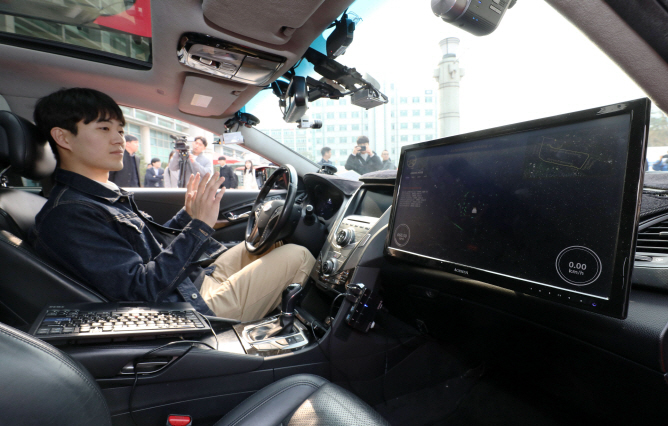 11 (Korea Bizwire) — LG Uplus Corp. and Hanyang University jointly demonstrated a self-driving car smoothly maneuvering its way through the busy streets of Seoul on Monday, aided by and broadcast live on a 5G network. The South Korean mobile carrier and the university’s Automotive Control and Electronic Lab (ACE Lab) showcased an autonomous vehicle driving itself for 25 minutes across 8 kilometers, with the help of high-speed, low-latency 5G connectivity. 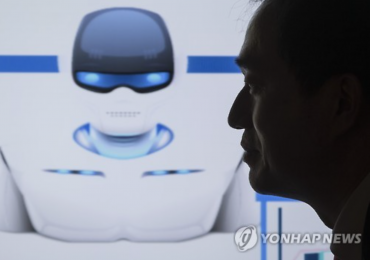 The Level 4 self-driving car named A1, which promises proper hands-off driving for long periods of time, started from the Han River’s southern shore and drove along congested roads, including two expressways and bridges, on a busy Monday morning. A1′s artificial intelligence analyzed traffic information collected by cameras and LiDAR (Light Detection and Ranging) sensors installed on the vehicle to make decisions on its own, such as adjusting the speed, changing lanes and responding to cars that cut into its path. The vehicle applied 5G to adjust the speed of its interactions and promptly redirected its course after detecting a minor collision between cars ahead of its planned route. All the car’s movement was broadcast live to the university. LG Uplus said the adoption of the next-generation cellular technology allowed the self-driving car to receive essential traffic information in real time, increasing traffic safety and reducing response time. Demonstrators in the backseat, meanwhile, enjoyed virtual reality (VR) content with a VR headset with the help of the fast network. In late 2017, ACE Lab’s autonomous vehicle drove itself on highways from Seoul to Busan, demonstrating a six-hour drive on a 420-kilometer route.